Weebly allows you to easily create your website with drag and drop technique. It doesn’t matter whether you are a beginner, intermediate or expert in website designing and development, anyone can build a stunning and fully functional website using weebly drag and drop design tools. Based on your expertise level you can choice Weebly’s professionally designed interface that is very interactive and fun to use. You don’t need any coding knowledge or experience. Weebly also provides you with web hosting services. Weebly is the top performer. It contains popular apps and services that help in marketing your website and develop your business with easy integrations. User friendly and easy to use interface. They provide 24/7 technical support via email, phone, live chat, etc. Most Weebly reviews are positive and commend the platform for its simplicity, affordability, and robust feature set. Wix is among the newest website builder. This website builder provides you with the beginners tutorial, you can start your website development by going through these tutorials or just skip the tutorial if you are familiar with website designing. When you create a website with Wix, the first thing to do is to select your precise area of business. Based on your business input you will get various template suggestions which best suits your type of business. You can start your website development by selecting anyone of those templates. 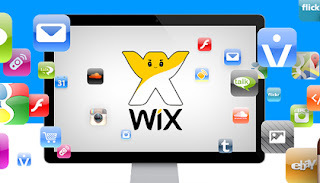 Wix is the award-winning and discerning website builder. This builder service uses less of a drag-and-drop design and more of a click-and-edit technique of altering items on a page. This rich service is well known for its discerning design alternatives and wide variety of interactive tools, including streamlined drag-and-drop element. It is easy to use even if you have no experience as well as build any type of Wix website.